The Senate GOP’s last-ditch attempt to euthanize the Affordable Care Act faces an array of formidable obstacles. They include: the unanimous opposition of health-industry stakeholders; the deep unpopularity of the new bill’s Medicaid cuts; the overwhelming likelihood that the Congressional Budget Office will once again find that the Republican approach to “health reform” involves throwing tens of millions of people off of insurance; and, above all, the precious little legislative calendar left to burn. This is unfortunate, since Senate Republicans need to pass the Graham-Cassidy (a.k.a. zombie Trumpcare, a.k.a. the abolition of Medicaid as we’ve known it) within the next 12 days. After September 30, the year’s version of the reconciliation instructions that empower Senate Republicans to repeal Obamacare with just 51 votes will expire. The CBO’s preliminary assessment will give Republicans enough analysis to meet the core requirements of reconciliation — the CBO will be able to confirm that massively cutting federal health spending will not increase the deficit. But it won’t have hard numbers on coverage effects. Which is to say: If Mitch McConnell’s caucus passes Graham-Cassidy, it will do so without knowing exactly how many people the law would likely hurt. Given that said number is (almost) certain to be big and ugly, this current lack of detailed estimates will likely be a benefit to the bill’s backers. Or so the legislation’s co-author, erstwhile “moderate” Republican Bill Cassidy, would seem to believe. In its preliminary assessment, the CBO will “provide as much qualitative information as possible about the effects of the legislation.” But that information won’t include precise projections of how many people would be likely to lose coverage — or pay higher premiums — if Graham-Cassidy were to become the law of the land. Hopefully, the CBO can provide some kind of descriptive, ballpark estimate next week. 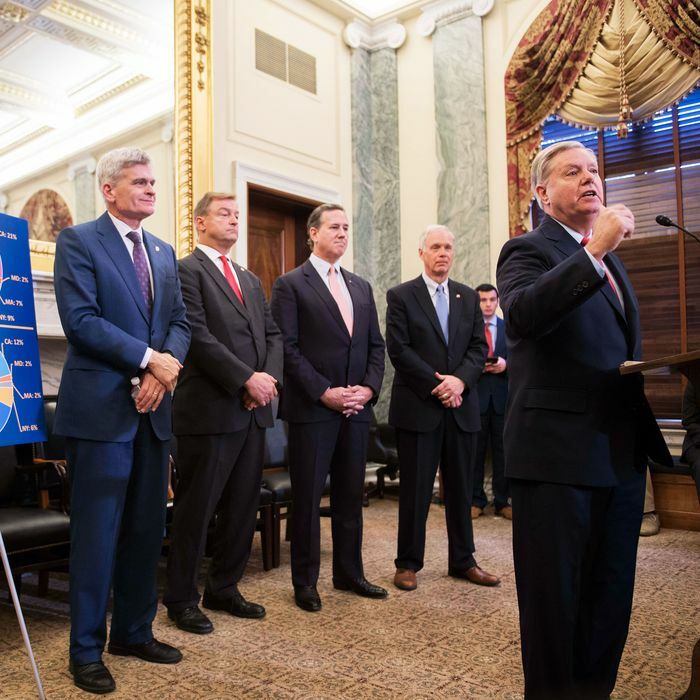 Since Graham-Cassidy devolves a great deal of authority over health-care policy down to the states, formally modeling its expected effects will be a complex, arduous process. But determining whether the bill would dramatically increase the number of Americans without access to affordable health care should be easy. The CBO has previously estimated that repealing the Affordable Care Act without a replacement would increase the ranks of the uninsured by 32 million. 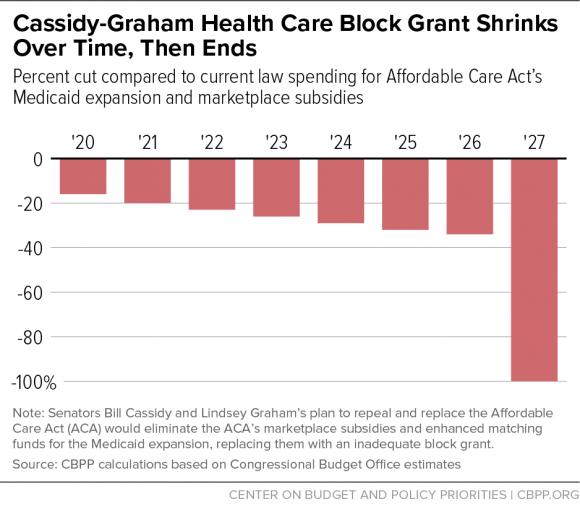 Ten years after its passage, Graham-Cassidy would eliminate all funding for the ACA’s subsidies and Medicaid expansion — while also making steep cuts to the traditional Medicaid program. One would expect such a combination of cuts to produce coverage losses larger than a mere repeal without replacement, which is to say, losses in excess of 32 million. Regardless, if and when Republicans vote on this thing, they’ll know exactly what they’re doing. It will be up to progressives to make sure that the public does, too.